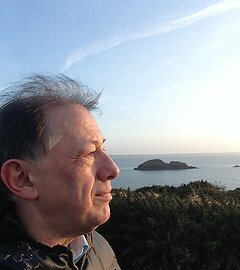 A native of Pembrokeshire, my passion is showing the beauties of Wales to people of all ages and nationalities. I can offer you an unforgettable, tailor-made trip around the country, unlocking its secrets and interpreting its legends, taking you to places only the locals will know. For those of you who are looking for historical or faith tours, I can provide the specialist knowledge that comes with having several theology degrees and working as a site guide for Pembroke Castle. 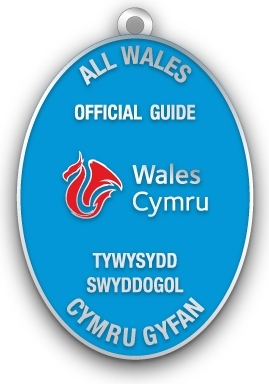 Before qualifying as a Green Badge Guide for Pembrokeshire and a Wales Blue Badge Guide, I travelled widely, working first as a translator in different European countries and latterly running an international organization, so I’m very happy to offer tours in other languages - I'm officially qualified to guide in English, French, German and Welsh. Look at the next few pages to see how I can help you make the most of your time in Wales, whether you're there for fun and sun on the beaches, walking the most popular coast path in Europe or to have the long and magical history of Wales brought to life.